We’ve been busy adding new options to our LED skylight line! These energy-efficient skylight alternatives feature anything from sky images with clouds, rainbows, or palm trees to ocean life images. 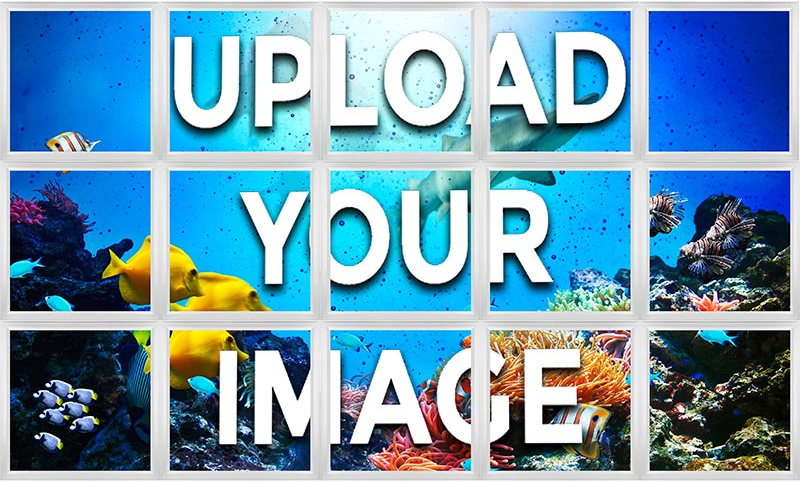 You can even upload your own image or choose from the more than 1 million stock images that we offer. Using perimeter-mounted LEDs and a light guide panel, the Even-Glow® skylights emit smooth illumination through images with no visible bulbs or hot spots. These dimmable LED skylights are available in 2-by-2-, 2-by-4-, 1-by-1-, and 1-by-2-foot versions that can be either flush mounted or mounted in drop ceilings. 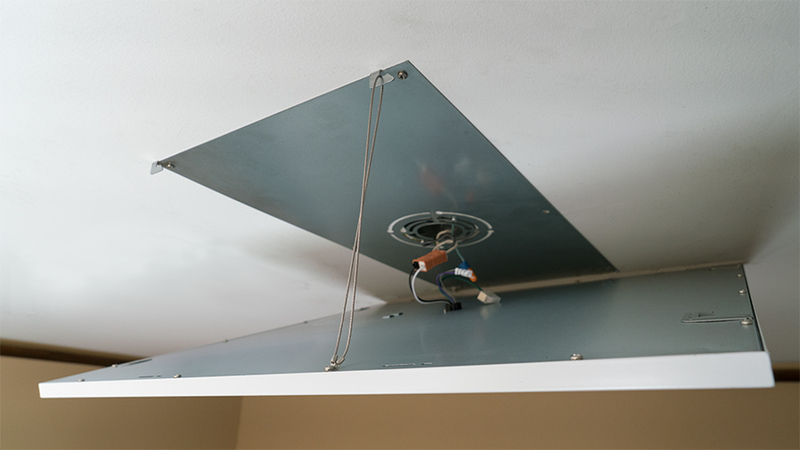 We also offer 2-by-2- and 2-by-4-foot tunable white LED skylights for drop ceilings. 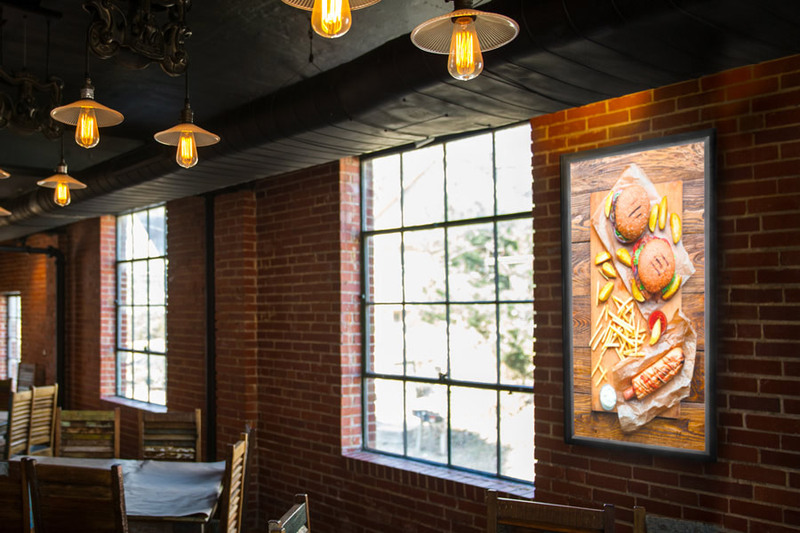 These panels have adjustable white color temperature from 3000K-5000K that can be controlled with a remote. They’re great for offices, schools, hospitals, basements, and other applications where it’s beneficial to mimic natural daylight cycles. Once you’ve selected your desired shade of white, you can also use the remote to dim this LED skylight. Our flush-mount/drop ceiling LED skylights are available with white or black frames. 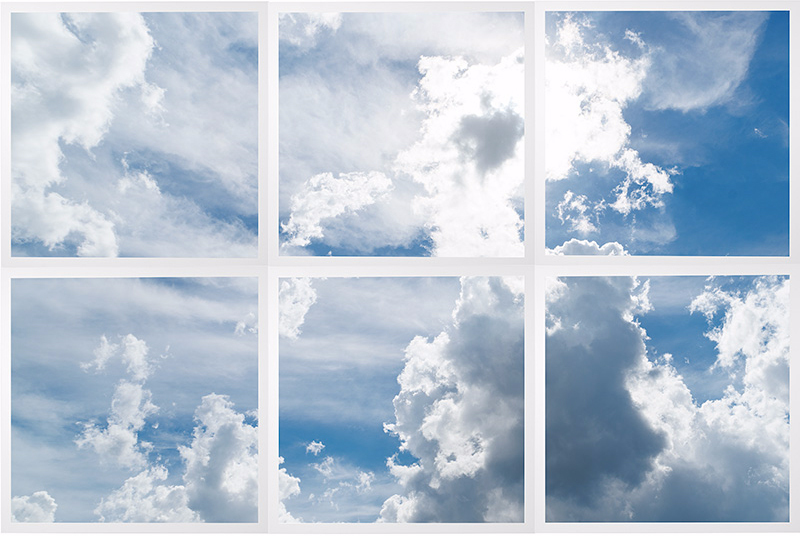 Drop-ceiling-only and tunable white skylights come with white frames. 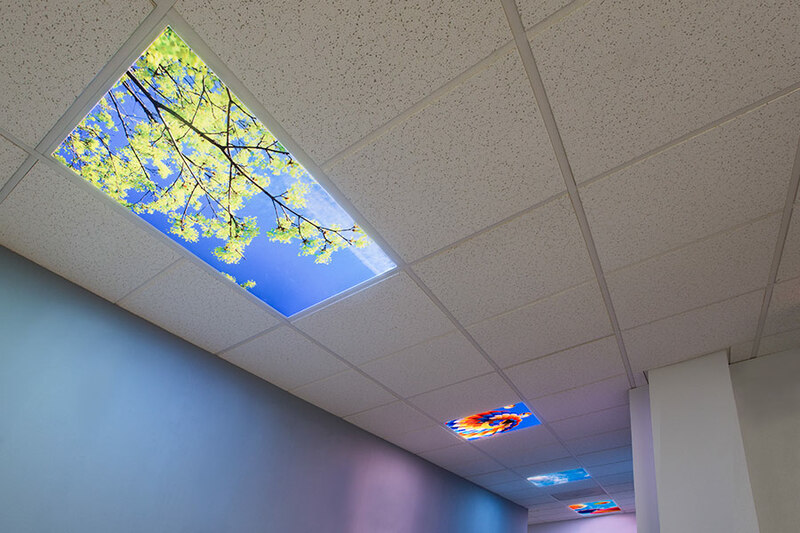 If you really want to get creative, we offer multi-panel LED skylight systems where images are split across a number of skylights. You can choose from select sky designs, upload your own image, or easily search through our massive inventory of stock images. Depending upon the the multi-panel product you choose, set layout or custom-configuration options are available. 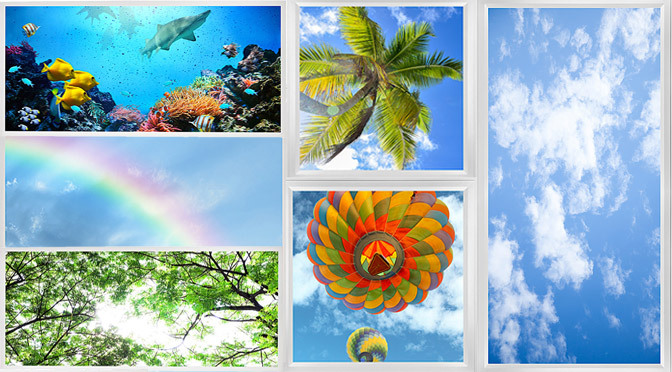 If the sky isn’t your limit, also check out our wall-mount and stand-alone LED light boxes! We will continue to add new LED skylights weekly, so be sure to pop back in and browse!